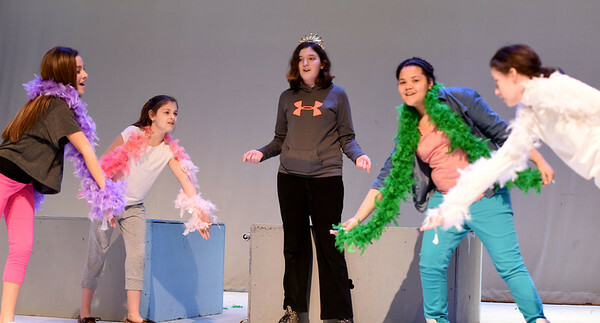 JIM VAIKNORAS/Staff photo Vivian Beauvais as Fiona rehearses with the cast for the Triton Middle School production of Shrek Jr. Show times are Saturday March 11, at 3pm and 7PM at the Triton high school auditorium. 170304JVAshrekShrek The Musical Jr.SaturdayMarch 11th 300PM 700PM at the Triton HS Auditorium. 5.00 Students Seniors 8.00 General Admission Tickets sold at the door.